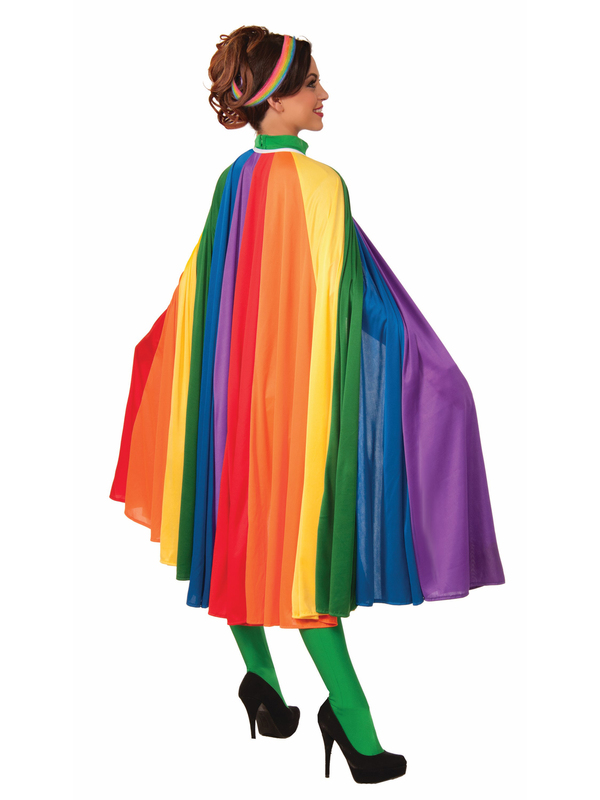 In candy colors, this rainbow cape is super sweet! Imagine soaring high in the sky in this brilliantly hued accessory. Wear for Halloween, parties, or any time you just want to lift your spirits.